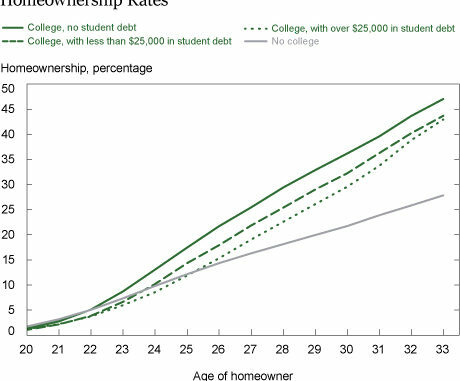 Perhaps it’s no surprise, but student loan debt prevents homeownership. In just the third quarter of 2018, total outstanding student loan debt increased by a whopping $37 billion. The amount of student loan debt in the United States now stands at an eye-popping $1.56 trillion. Out of necessity, student borrowers must delay homeownership while attempting to repay these steep loans. Zillow recently looked at home purchase affordability across all U.S. metro areas. As of September 2018, the median home value in the country was $220,100. 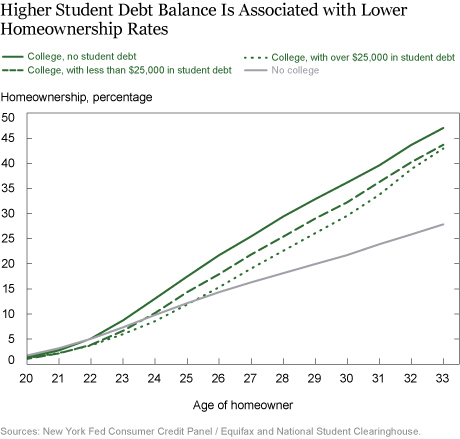 Home purchasers with student debt could purchase a home with a maximum value of $269,400, versus $361,800 for purchasers with no student debt. In the Washington, D.C. metro area, the median home value is $401,000. According to Zillow, just 62 percent of homes in the D.C. metro area are available to student loan borrowers. And the maximum home value they can afford is $507,600. That amount doesn’t go very far in the District. As noted by Zillow, the average monthly student loan payment is $388, making it much harder to set aside money for a down payment. Moreover, a home buyer today needs an average of 7.2 years to save a 20 percent down payment for a home. The price of a college education has increased 213 percent over the past 30 years. Today, 11.5 percent of student debt is more than 90 days delinquent. Yet this delinquency rate is likely to be understated because half of all student loans are in deferment, grace periods, or forbearance. Student loan expert John Hupalo notes that delinquency rates of non-graduates are far worse than that of graduates. To end what he calls “the delinquent student loan merry-go-round,” Hupalo suggests “some sort of amnesty program.” Such an amnesty program actually already exists in American law: bankruptcy. Unfortunately, discharging student loans in bankruptcy is nearly impossible. Federal Reserve Chairman Jerome Powell understands that the astonishing growth in student loan debt will suppress economic growth over time. Powell believes that we should bring back the bankruptcy discharge for student loans. Lee Legal also advocates the bankruptcy discharge for student loans.